ECB chief Mario Draghi had more market impact by alluding to higher rates than Fed Chair Janet Yellen did by hiking them two weeks ago. That fits a recent pattern: central bankers who have yet to tighten policy are more apt to upset expectations – and that’s what moves prices. 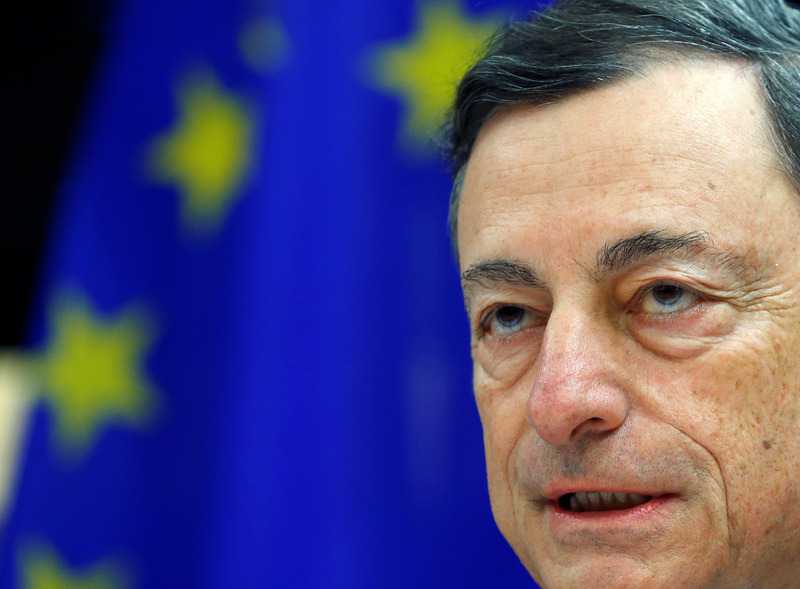 The European Central Bank could adjust its policy tools of sub-zero interest rates and massive bond purchases as economic prospects improve, President Mario Draghi said on June 27. He added there were strong grounds for prudence and that any changes would have to be made gradually. Draghi’s comments pushed the euro up by about 1.5 percent against the dollar on June 27. That was the single currency’s biggest daily percentage gain in more than a year. European government bond yields also rose, with those on 10-year German government debt hitting a one-month high of 0.4 percent on June 28. The U.S. Federal Reserve raised interest rates for the second time in three months on June 14 and said it would begin cutting its holdings of bonds and other securities this year. A traded index of the dollar’s value against a basket of major currencies closed slightly lower on that day and has since fallen to 96.2, its lowest level in more than seven months. Yields on 10-year Treasury debt also fell on June 14.